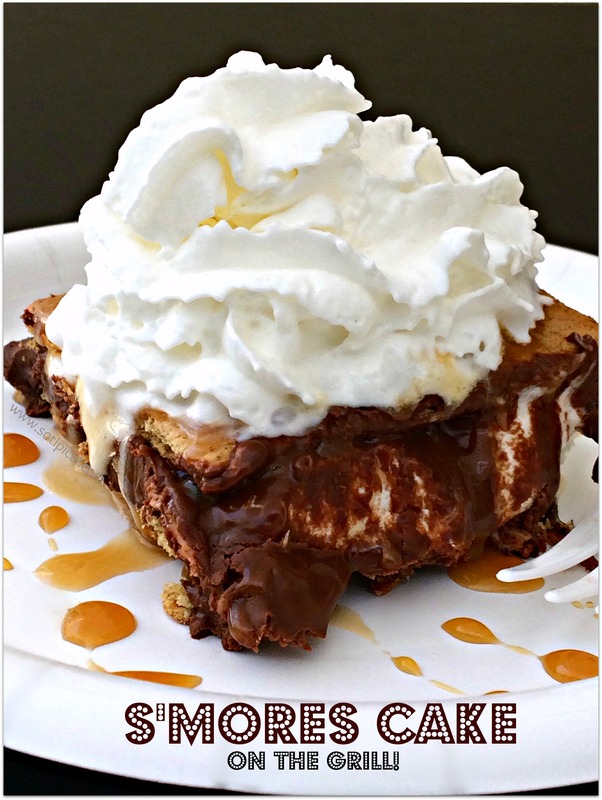 If you love easy desserts that can be made in under 10 minutes, then this S’Mores Cake on the Grill is for you! Yes, you will be enjoying this yummy “cake” within 10 minutes and it is made on your BBQ grill! 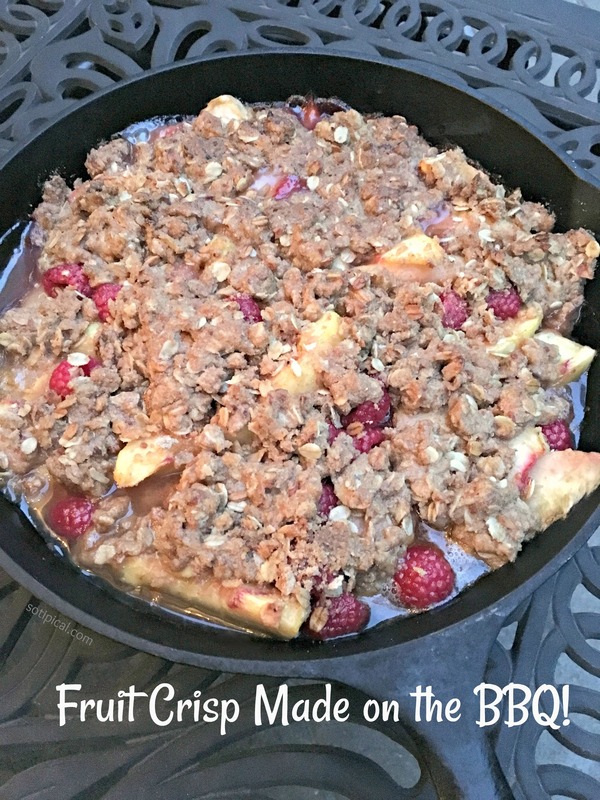 Simple to make for a weeknight dessert and its also perfect for a crowd! After all, every day is a good S’Mores day, right? I’m always looking for an easy dessert when we host a BBQ. The kids always ask for s’mores but since we don’t have a lot of skewers, we spend a lot of time standing around, waiting our turn! Its so much more fun when we can all sit and enjoy our dessert together, while we chat, so this S’Mores Cake is the best idea I’ve had yet! I even plan to bring this, pre-assembled, to an upcoming pool party! We’ve made it twice so far and my youngest made it the second time. Thats how easy it is! One thing that I found recently, and really like, is the Honey Maid Graham Cracker Squares. 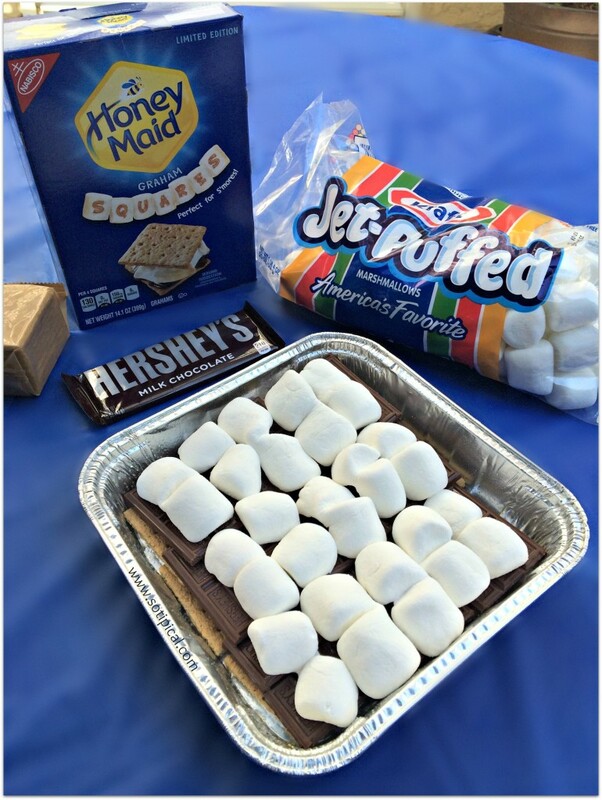 If you haven’t tried them before, they are great for s’mores! You can find them exclusively at Wal-Mart. 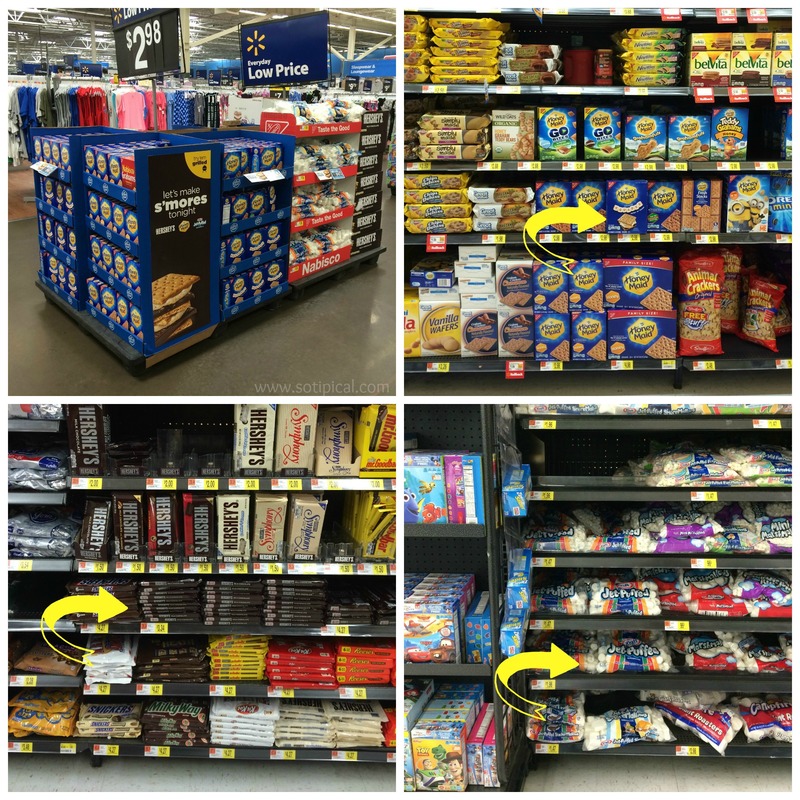 Here is where I found them, along with the Hershey’s Milk Chocolate Bars and Kraft’s Jet Puffed Marshmallows! It seems like there have been so many school projects due lately, that we’ve had the kid’s classmates over every weekend. One thing you can count on is that when kids are working hard on their homework, they wind up STARVING, even though they just had lunch! 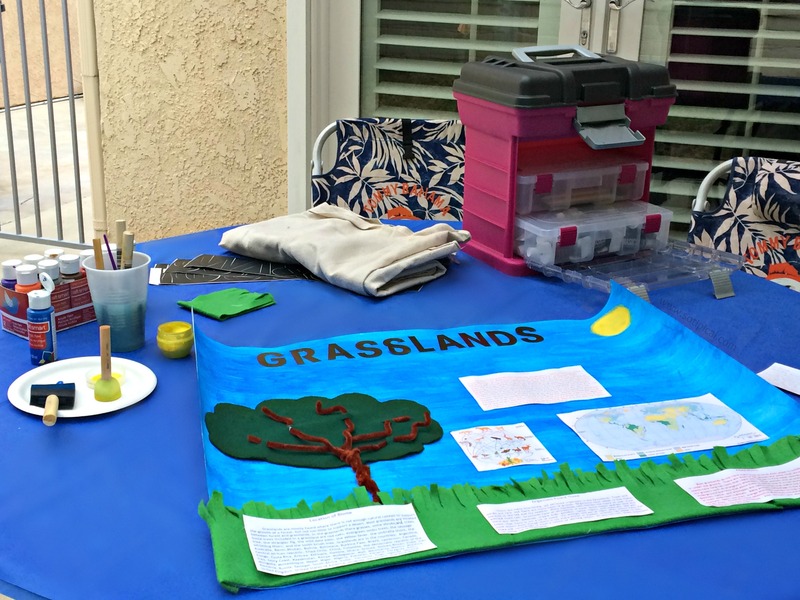 This past weekend, I had a group of girls over to work on their “Grasslands” report and poster. By the second hour, the second round of food was requested and since I was preparing my grill for dinner, I decided to whip up a S’Mores Cake on the grill as a special treat and they gobbled it up in half the time it took me to make it! While your grill is set on low, begin by coating the inside of the aluminum pan with cooking spray, to avoid sticking. Begin with a layer of Graham Cracker Squares on the bottom of the pan. I used a 9 x 9, and I was able to fit 3 rows of 2 squares. Then break then add half a chocolate bar on top of each square. Next add a layer of marshmallows. 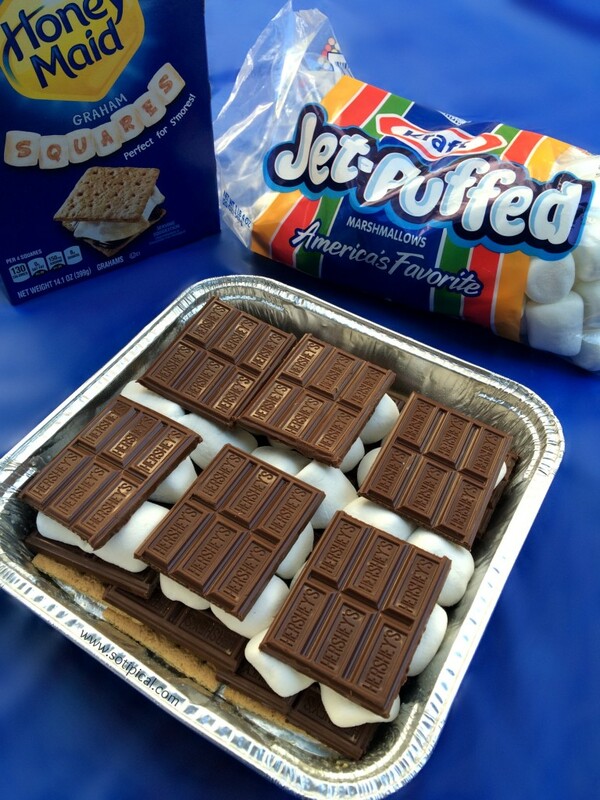 I used regular sized marshmallows cut in half, but Kraft also offers Jet Puffed Stacker Mallows, which are flatter, marshmallow squares. They would have been great to use as well. Add a top layer of the Graham Cracker Squares over the Chocolate Bars. Cover with aluminum foil and place on the top rack of your BBQ grill. If you don’t have a top rack, I would recommend using indirect heat. Either turn off half of your burners or push the coals to one side. Place the pan over the side without the direct heat. Close the lid of the BBQ Grill and “bake the cake” for 5 minutes! Carefully remove the pan from heat and set on a heat-safe surface. 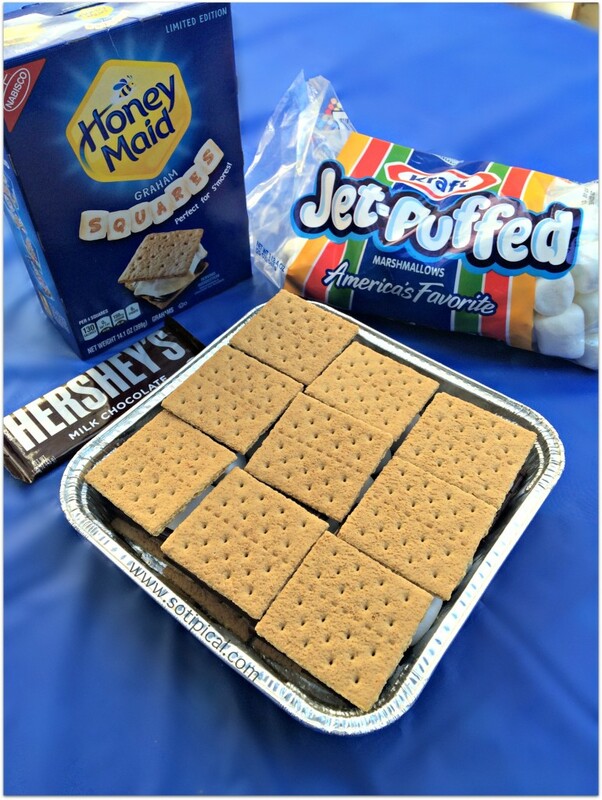 Since we are using the Graham Cracker Squares, it is very easy to serve individual portions! I didn’t try it yet, but wouldn’t a layer of peanut butter be amazing in this?? S’Mores Cake on the Grill is our new favorite summer get-together dessert! 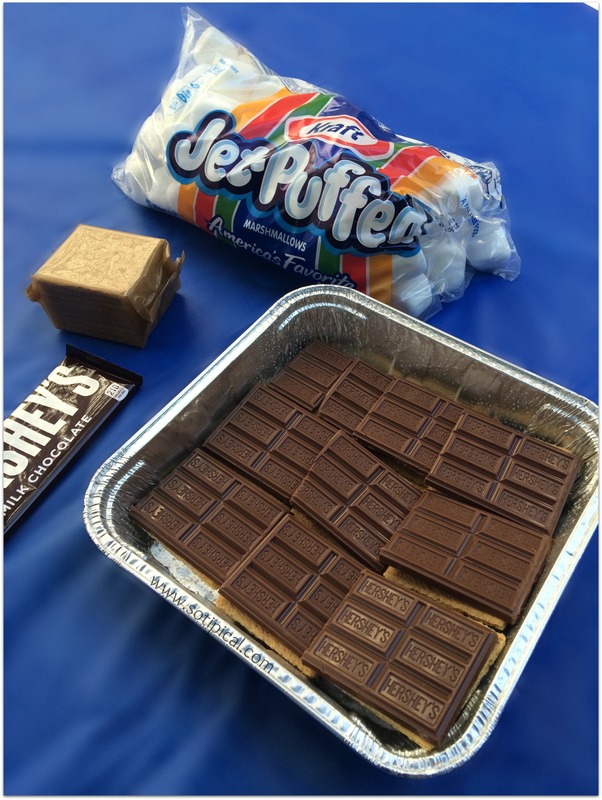 What is your favorite way to eat S’Mores??? I want to know! 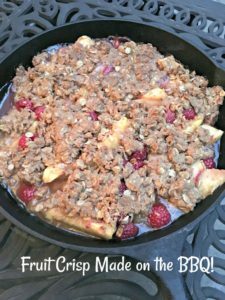 Love the idea of using your grill for quick and easy desserts? Here is another family favorite! Oh yumma! I could get on board w/ this bit of deliciousness. My favorite way to eat s’mores? hmmm, let me think…..ANY WAY! This is one of my favorite desserts! Can’t wait to try your recipe out! What a great summer recipe. Love the use of the grill. Wow!! There are no words. It looks delicious and I’d love to have some right now. We always have S’mores at the lake over the 4th so I think this will be a huge hit! I’m going to take this with me, but I’m not gonna lie, I might eat it all myself and not share! I’m already thinking about making 2 next time. One “as is” and another with a peanut butter layer. OMG! I am going to do this for when we go camping and maybe even TONIGHT!!! Looks awesome! TY for sharing such an awesome and easy idea!! Thanks! I hope you enjoy it! So easy too! The grill kicks some major booty! This is freakin awesome! I love it! And, I love even more that you made it on the grill! I have to do this! 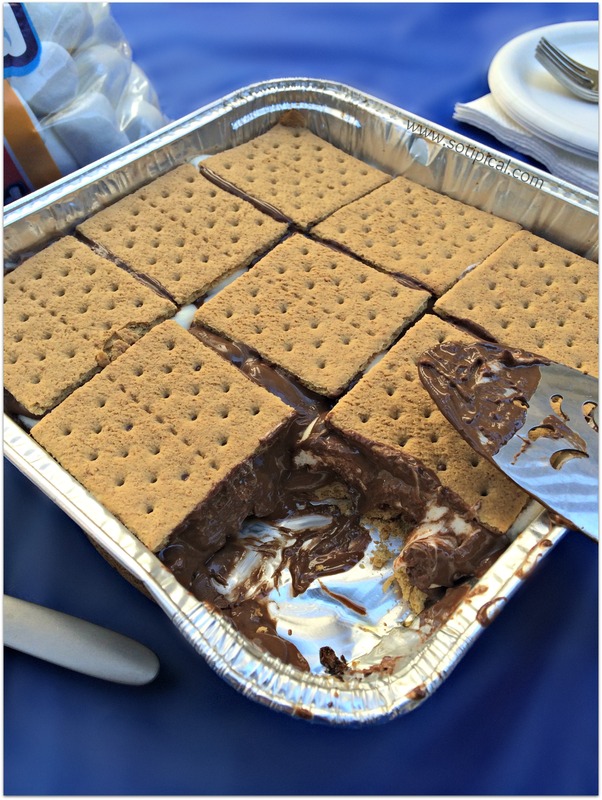 What a delicious S’Mores recipe. A S’Mores cake on the grill is the best idea I have seen in a long time. Great post. This is an awesome BBQ or camping recipe – looks amazing ! Ooooh Yummmm! You got me here!!! That looks absolutely amazing! A must try! I have never had Smores to date and think I am missing out on something! looks YUM! Yum!!! I think adding some peanut butter chips would make this even more divine. Love the grill component!